Let it snow with Zepto—again! Updated with the latest and greatest Zepto.js… Let it snow! If you’re interested how this works, grab the source. Except for Zepto.js (built with detect & fx support) there’s no external dependencies (not counting the Twitter and analytics). P.S. 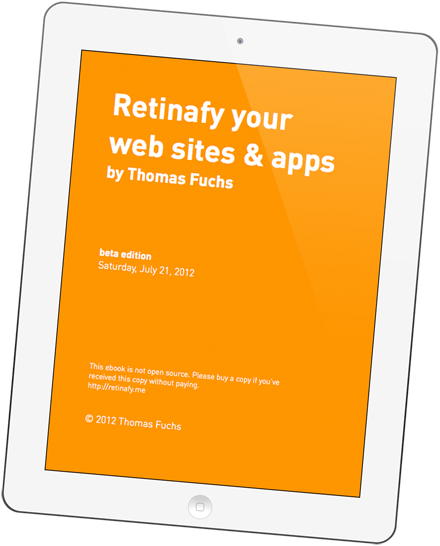 Because it was so popular, I’ve started another flash sale of my ebook Retinafy your web sites and app—use coupon “hiresholidays” for 15% off, but only on December 24th and 25th!